Well, Spring has finally sprung here in the Land of 10,000 frozen lakes. Almost. On April 16, we have a local forecast that includes the possibility of one- to two-inches of fresh snow. The bees that just arrived from Sunny California are wondering, “Where the heck are we?!”. 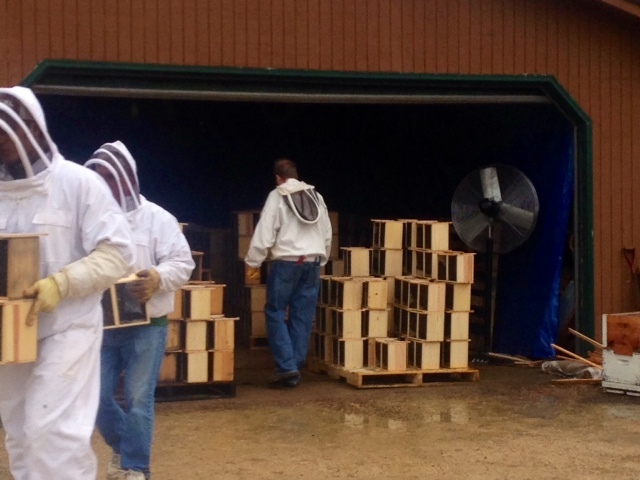 This past weekend, we received our first spring order of package bees. We were all up before the sun, and had planned the pickup of our four packages from Nature’s Nectar in Stillwater MN. 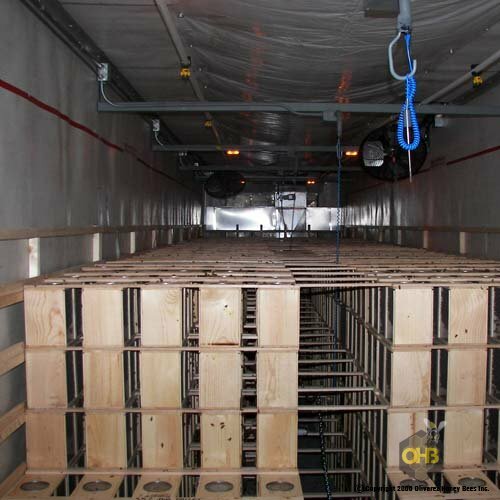 Nature’s Nectar has been doing this for a while, and they order bees by the semi-trailer load. They said they were expecting 600 beekeepers to pick up on Saturday, and when we got there, it looked like they were ready! They had a pretty good system worked out, scheduling beekeepers by last name starting with the Z’s at 0730 Saturday morning. Our friend Nancy, with Cindy and I, arrived at the pickup in our assigned 0830-0930 time slot and were greeted by a scene that was short of amazing. In the rural driveway at Jim’s house, there was a tent where helpers where cecking names. In the garage, there must have been 15 or 20 pallets with 100 packages each. After we got checked in, their guys brought out our pre-paid packages and we were on our way home. And hour out and an hour back, and the stop for pickup was less than 10 minutes. 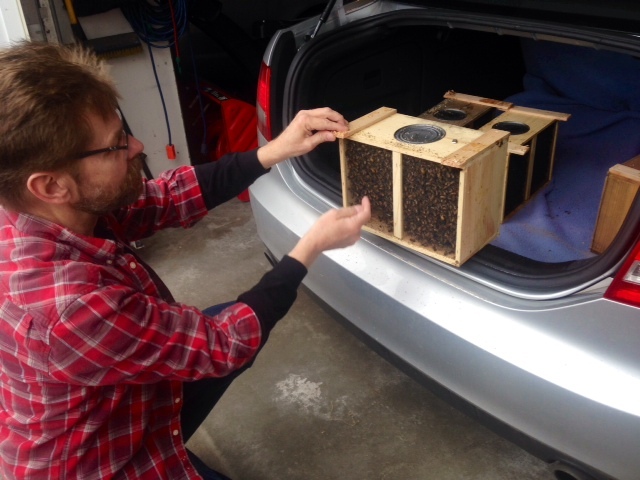 The bees generate their own heat to keep themselves warm all winter, and a package is no different. You can feel the heat coming off the packages as they hum their little bee hum. After we got them home, we waited for the afternoon. I wanted the wind to die down a bit, and make sure that the clouds stayed around. Cooler and cloudier weather would help keep the girls from absconding…otherwise we would have waited til evening to install the packages. 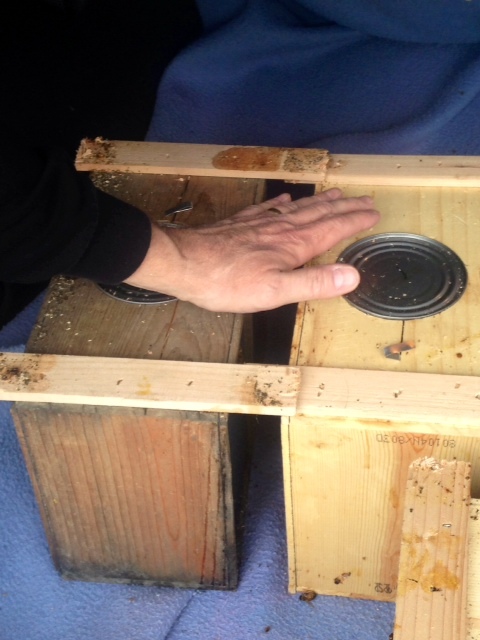 We were in no bug rush to get them hived, except for the excitement of a new season getting started! Previous post: To the Field!